Automatically track your sleep from your Apple Watch. No buttons to press. Even the Watch app is optional. Just sleep! Using Advanced Heuristics AutoSleep works out how long you've slept. 1. Put your Watch on charge before you go to sleep. 3. Put your Watch back on*. * or touch your iPhone when you wake up then put your Watch on within 30 minutes. Fill your Rings by Sleeping. In AutoSleep your sleep sessions appear on a simple clock. As you meet your sleep goal, the clock will go from red to green letting you easily see when you achieved your goal. There's an exciting new concept in sleep tracking. Sleep Rings. They're the perfect complement to your Watch's Activity Rings. Instead of filling them by moving and standing, you fill them by getting quality sleep. Best of all everything uses a simple traffic light color scheme so you instantly know what's good or bad. Learn more about sleep rings here. Today is like a news page for your sleep. Everything at a glance. You can touch any tile to learn more and see trends. You can also "Add to Siri". This lets you ask Siri how you slept, if you are ready, your latest bedtime and more. It even has advanced support for the Shortcuts app if you ever want to create your own Shortcuts. Learn more about Today here. AutoSleep's new advanced sleep bank algorithm lets you know if you are in sleep credit or slipping into sleep debt and gives you advice to address this. Learn more about Wellness features here. Using heart rate variability & waking pulse, AutoSleep now gives insight into your physical and mental state. You can ask Siri the latest time you need to be in bed to ensure that you stay in sleep credit. You can even set multiple reminders for preset intervals before your bedtime. AutoSleep learns your patterns and sleep style and lets you know the latest bedtime that will let you stay in sleep credit, or, help you clear your sleep debt. If you ever wake up during the night or earlier than usual and want to see how much sleep you've had, well now you can see a live update of your sleep. Two simple rings track how long you've been in bed and how much of that time has been actual sleep. These are plotted as progress onto a ring that represents your preferred number of sleep hours per night. 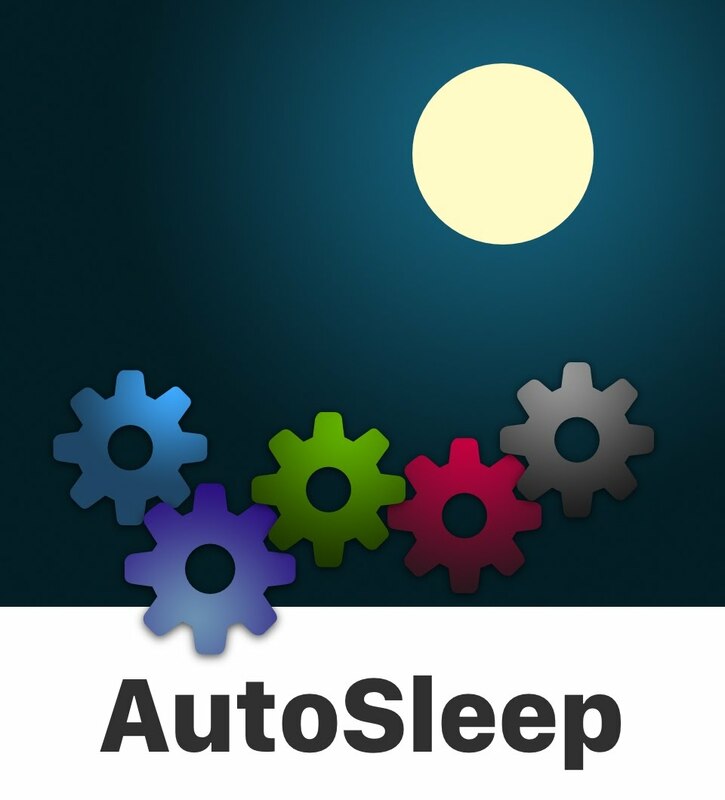 Learn more about the AutoSleep Watch app. If you wear your Apple Watch to bed*, AutoSleep will also analyse your sleep. You can see when you were in lighter or deeper sleep, what your heart rate was doing and how much time you were awake/in disrupted sleep. Now with unlimited history and export. See your recharge, quality, time asleep, heart rate, deep sleep and when you went to bed. This includes twelve weekly averages, weekly averages and an explorer that lets you tap a day and identify trends. AutoSleep also automatically works with HeartWatch, our premier heart & activity monitoring app. All sleep data is integrated throughout the app, including the Dashboard, Calendar & Vitals views. AutoSleep delivers more metrics to HeartWatch to let you delve deeper & see trends. AutoSleep also writes your sleep data to Apple Health including sleep quality metadata. 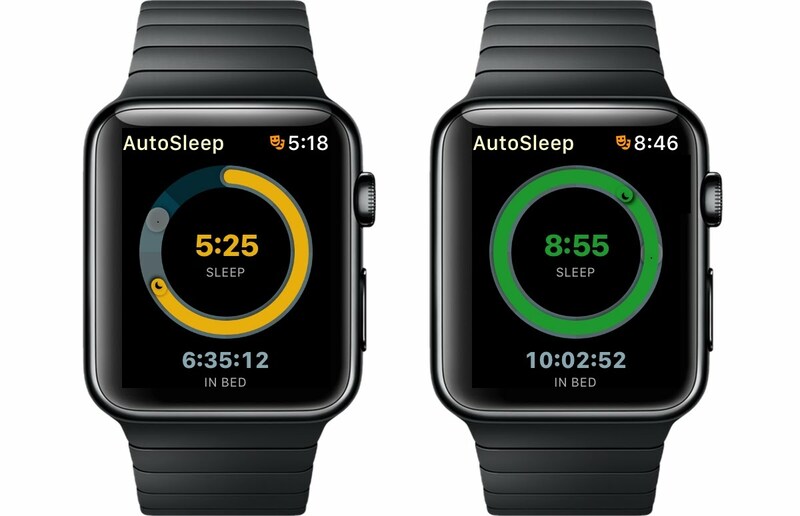 AutoSleep requires Apple Watch with Watch OS 4 or higher (WatchOS 5.1.2 or higher recommended) & Apple iPhone with iOS 11 or higher (iOS 12.1.1 or higher recommended).